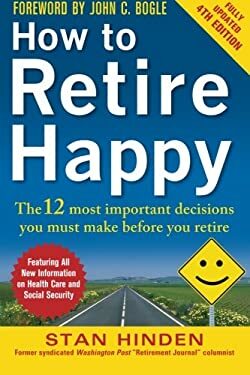 "Everyone in the workforce today should read this book "
From financial decisions like when to take money out of an IRA to lifestyle decisions such as where to live, "How to Retire Happy," Fourth Edition, provides accurate and expert advice, served up in easy-to-understand step-by-step style. Stan Hinden was a business journalist for 45 years. He is now retired.